2016 was a hugely successful year for master builder Steve Graves and his team at Bright Alpine Builders, with projects securing two leading Australian building awards for both outstanding commercial and residential construction. In October Chrismont Wine’s cellar door, restaurant and larder in Victoria’s King Valley took out the coveted 2016 National Building Design of the Year Award; a construction co-designed by Mark Gleeson of MG Design. 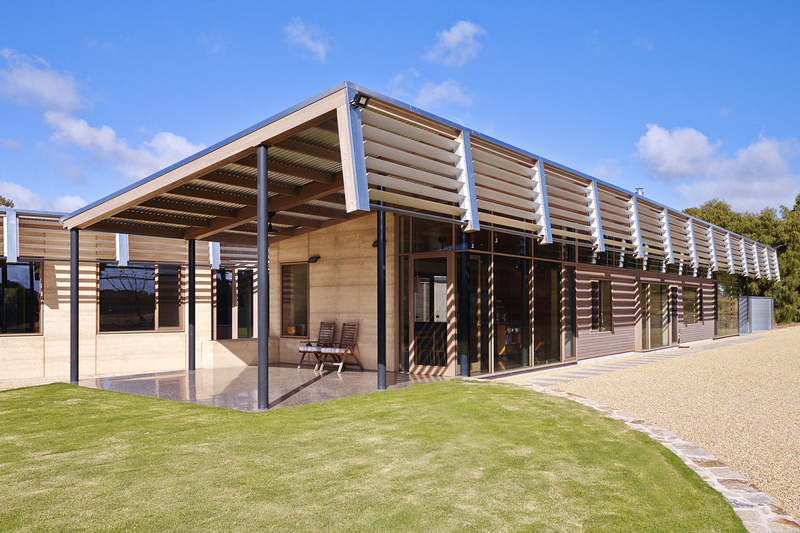 In November Bright Alpine Builders received the 2016 HIA Victoria award for Best Custom Built Home – for the ultra suave, eco-friendly custom home in Wangandary (near Wangaratta, Victoria) as featured in our last issue. The Wangandary home features an organically flowing entry hall with a ceiling of polished timber battens that rise and fall in height as they snake their way around a curving floor plan. 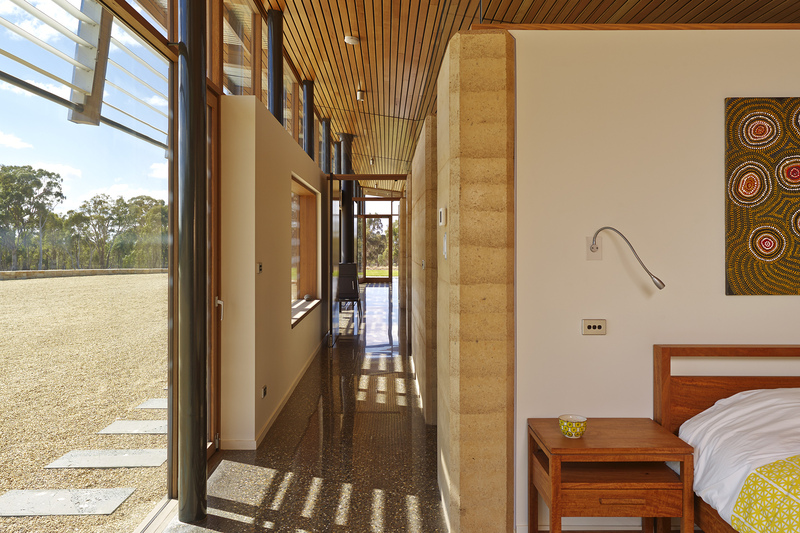 While its rammed earth, superior glazing and electronically controlled sun-chasing aluminium shade shutters make this house a high thermal achiever, it’s perhaps the ingenious additional use of geo-thermal-mass climate control, a system of filtered dam water circulating through pipes within the polished concrete flooring slab, that makes this epic and very beautiful design a contemporary winner.